There is no such thing as ‘personal accountability’ anymore. In May of 2016, a three year old boy was visiting the Cincinnati Zoo with his mother and father. 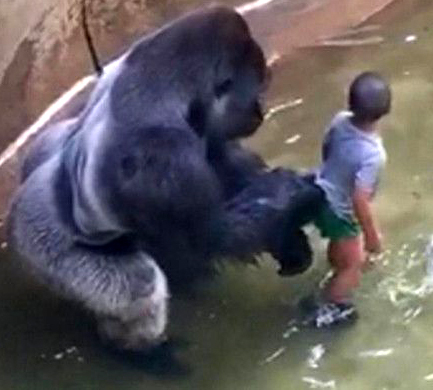 This little boy somehow, someway, ended up inside the gorilla exhibit alongside a wild, 450 lb. gorilla. As a result, sharpshooters had to shoot and kill the rare, endangered silverback gorilla in order to save the boy’s life.